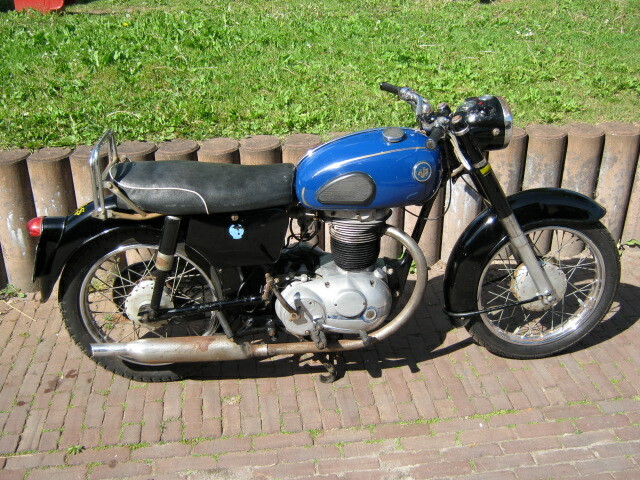 Barnfind; rather rare AJS model 8 from 1960, stood in a garage for years and years and is very original. Runs and rides well, gearbox works good and alternator charges.Simple restauration, with original Dutch registration (frame- and engine nrs. are corresponding with this).